Casino Pop – Christmas Calendar 2017! Open a new door every day to collect gifts and popTickets! Santa goes, ho-ho-ho! His little helpers told him that CasinoPop players have been good and deserve extra rewards for Christmas. Visit daily the Christmas promotion page during December to collect “free bees” and popTickets to win a brand new Xbox One X plus some more awesome stuff. The more popTickets collected on the campaign page or by leveling up, the bigger the chances in the raffle. 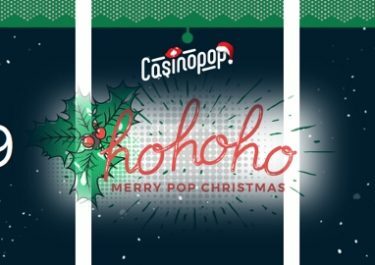 The Christmas Calendar at Casino Pop was launched today and invites players to open a new door every day, unveiling a daily offer for Free Spins plus popTickets to the Grand Christmas Raffle where tech goodies, Epic Spins and Free Spins worth €2,800 will be raffled off among qualifying players. Every day, until 25th December 2017, players can open a new door on the calendar to reveal the current offer for Free Spins, either without a deposit or on deposit. Wagering requirements apply to the winnings from the Free Spins, subject to the CasinoPop bonus terms and conditions. Players will earn 1 ticket for each level-up on the progress bar. Plus, some days on the Christmas Calendar will award additional tickets. The more tickets a player collects, the higher the chances to win a prize in the raffle. 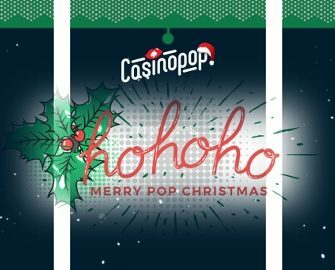 On Christmas Day, all accumulated popTickets will be entered into a random raffle from which 100 winning tickets will be drawn and prizes allocated in the order they are drawn. All players earning minimum 25 popTickets throughout the campaign and are not a prize winner, will be rewarded with 25 Free Spins on Vikings Go Berzerk. All winnings from Epic and Free Spins are credited as bonus with wagering requirements according to the CasinoPop bonus terms and conditions. Launched in 2016, the casino is operated on the MT SecureTrade / iGamingCloud platform under MGA Malta and UKGC licenses. On offer on desktop, mobile and tablet are 1,000+ games from Netent, Microgaming, NYX Interactive (BetDigital, Elk Studios, NextGen Gaming, Thunderkick), Play’n GO, Quickspin, Scientific Games (Bally, Barcrest, WMS) and Yggdrasil. The Live Casino tables are powered by Netent Live.